Anton, an immature magpie, came to us as in June 2016. 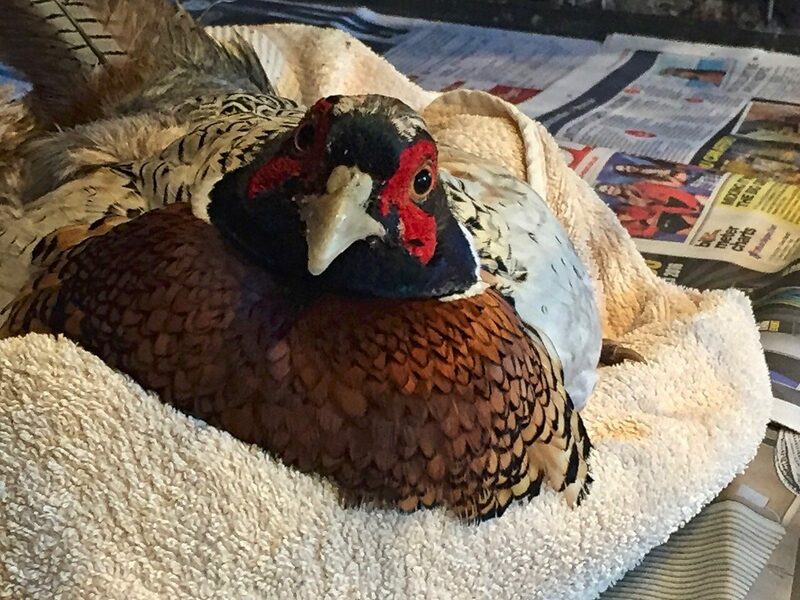 He has been found hiding in a greenhouse after being injured and unable to fly. At admission we found a subacute fracture of radius and ulna of his left wing. The fracture has been treated conservatively and splinted accordingly. Anton made a full and uneventful recovery, and four weeks later he has been successfully soft released. Anton stayed in the area and has been seen daily returning for some snacks. The last three weeks, after we opened the release aviary, magpie Anton stayed in the closer vicinity and came back almost every day for food and to visit some old friends, in particular magpie Ebony. However, today we have been shocked to find Anton near his release aviary lying on his back and being unable to walk or stand. 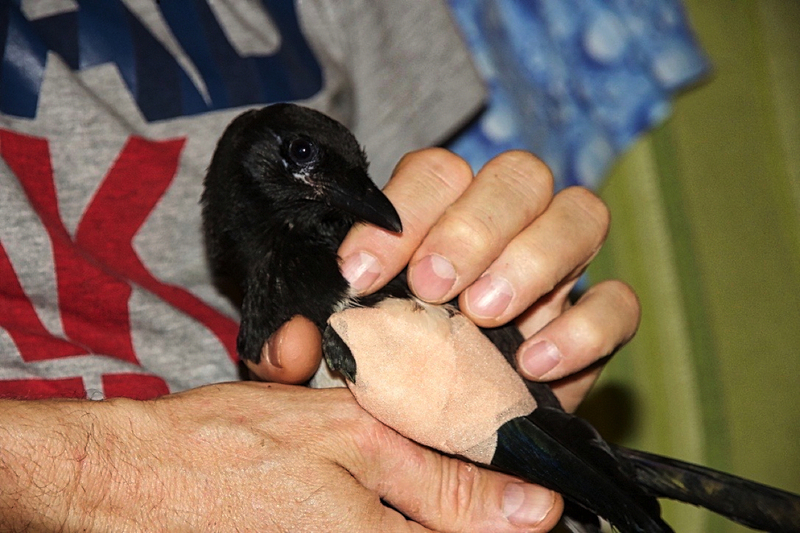 Although we don’t know what has exactly happened, the admission assessment revealed very quickly that our unlucky magpie fellow Anton suffered a severe impact trauma, which has resulted in a spinal contusion with subsequent partial paralysis of both wing and legs. 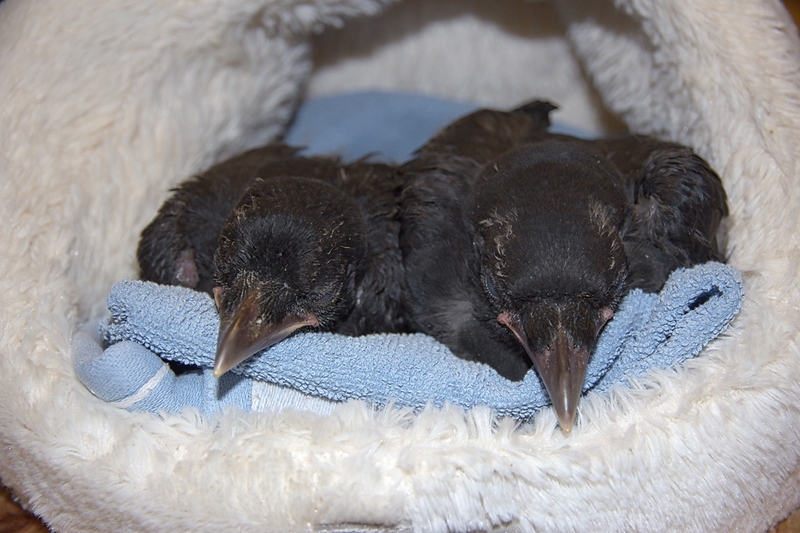 The treatment of corvids in general, but in particular the treatment of spinal injuries in birds can be a controversial topic and is handled inconsistently. 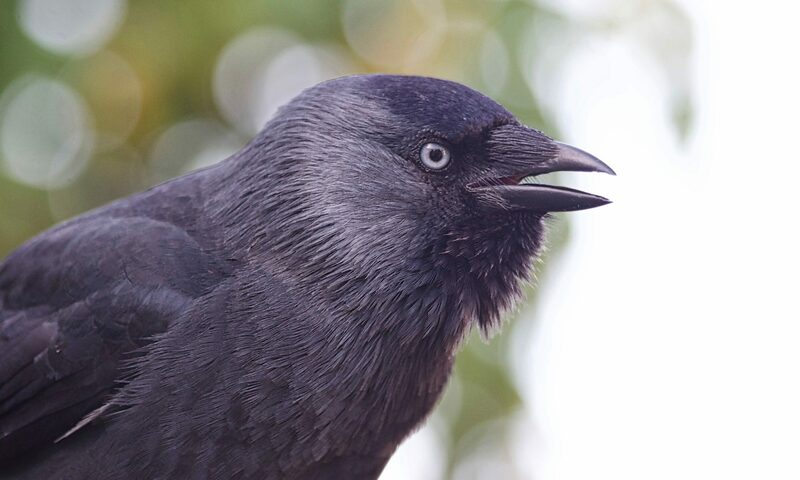 Apart from the disappointing species related fact that corvids are often not treated and rehabilitated at all, a spinal trauma or spinal injury with partial or complete paralysis of wings, legs or both, is commonly seen as an acceptable reason for an immediate euthanasia. And even if a rehabilitation attempt is undertaken, often enough these birds are hastily euthanised after only a couple of days without significant improvement. Our own experiences, rehabilitation approach and results are different, focussing on birds without a fracture or on birds with non-displaced spinal fractures only. It has to be noted that displaced spinal fractures usually result in irreversible damage to the spinal cord and a recovery is very unlikely. In these cases euthanasia is probably the kindest option. However, these kind of decisions have to be made on a case by case basis. In all other cases outlined above, a treatment attempt should be considered. If there is no noticeable improvement within a fortnight, chances of recovery are remote. However, as soon as there is a noticeable improvement observed, chances of a full recovery will increase markedly over time. Under these circumstance the rehabilitation process and timeline will be extended and adapted accordingly. The video clip below shows some of the milestones of Anton’s rehabilitation process and recovery including his second successful soft release. Magpie Anton is a typical example, which proves that birds with spinal injuries should be given a second chance and that these birds can make a full recovery. At admission Anton was unable to stand or walk at all. He was able to fly short distances, but in a very uncoordinated way, which did suggest a mild coexisting concussion. As in any other rehabilitation situation, the rehabilitation process needs to be frequently adapted according to the degree of neurological deficit and should also take the personality of the individual concerned in account. The treatment usually starts off with a secure and padded hospital box in a quite and dimmed light setting, with the primary goal to keep the bird calm and the blood pressure low, without using any restraints (e.g. bird harness or sling). This is in particular important during the first week, as the risk of a sudden neurological deterioration is highest during the first 24 hours after the trauma. Any bleed or haematoma within spine or brain will lead to a compression of the surrounding structures, also resulting in an additional perifocal swelling or oedema, which usually peaks at 72 hours and persists for about 5 days. These findings might explain a second mortality peak commonly seen at the third day post accident and they also justify the necessity to give any bird with a brain or spine injury enough time and a chance to recover. Based on these facts and our own experiences, it becomes evident that the 14 day rule seems to be a good compromise. For the next phase of the rehabilitation process, a padded play pen or baby cot works very well, which allows the bird to exercise in a safe environment, as the bird is usually not in full control of his or her movements and may be prone to injuries. Not unsurprisingly cleanliness is paramount, primarily to avoid additional damage to and contamination of the plumage, which is at risk to excessive wear and tear in particular in birds, which are unsteady and prone to falls. The added interior of the padded pen has to be chosen carefully, to take again all these facts in account. This also obviously includes water dishes to avoid accidental drowning in unsteady patients. When the bird has regained his or her abilities to control its movements, a transfer into a small safe aviary can be attempted to allow more freedom, entertainment and exercise. However, the progress has to be monitored closely, as frequent adaptations of the aviary setup may be necessary to adapt and optimise the rehabilitation process and to minimise any remaining risks of falls or injury. The final step of the birds recovery will be the transfer into a larger free flight soft release aviary. It goes without saying that these kind of bird patients are not suitable for a hard release at all. Soft release is the only viable option for any young or long-term patient allowing a gradual reintroduction back into the wild. 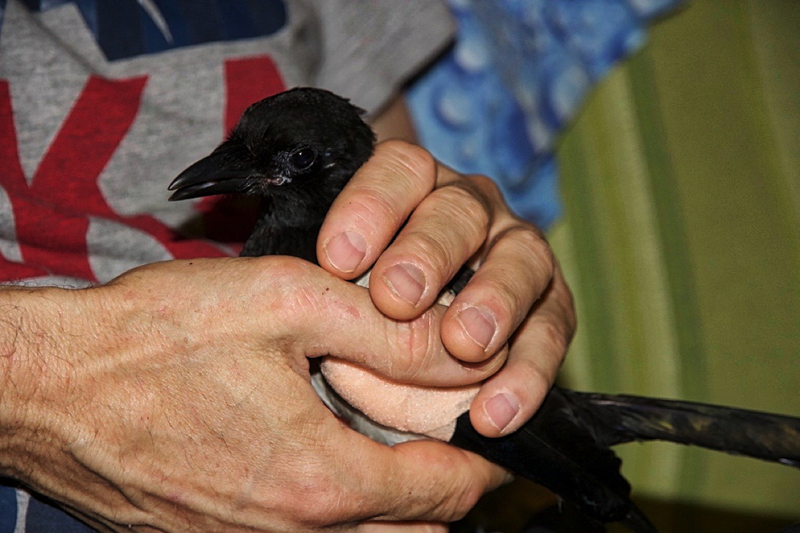 Magpie Anton made a full recovery and has been successfully soft released for the second time. Anton teamed up with previous inmate Ebony, who has been also soft released together with Anton. Both birds stayed close by and are frequently visiting our garden, even a year after their final release. Stay safe Anton and Ebony!